Though I know it upsets a fair few folk when Cheltenham becomes the only topic of conversation, I must admit that it’s becoming a little difficult for me to think of anything else. Admittedly, there’s still plenty of top-class racing between now and March 13, though most of the racing news will be dominated by ‘Festival Fever’. At this point in the National Hunt calendar, even races that carry huge prestige, tend to be viewed more as Prestbury Park pointers. This weekend’s Clarence House Chase is such an example. The Grade One is worth £85,425 to the winner, and the race has a stunning roll of honour. Desert Orchid won an epic 1989, when the race was still a handicap. Master Minded and Sprinter Sacre were modern day two-mile goliaths, with the former winning this twice. Un de Sceaux has captured the last two, but should he make it a magnificent three in-a-row, much of the post-race chat will focus on his form as he heads to defend his Ryanair crown in March. In little more than a week we have the aptly named Festival Trials Day from Cheltenham. The Grade Two Cotswold Chase is the feature, and though the roll of honour is another tasty one, its timing lends itself to the role of Gold Cup prep-race. It’s fair to say that in recent times it’s rarely given many clues towards the blue riband in March. The same cannot be said of the Cleeve Hurdle, which takes place on the same card. Inglis Drever, Big Buck’s and Thistlecrack have all won this prestigious staying hurdle in recent years, prior to heroic performances when returning to the track in March. From Cheltenham, attention will turn to Ireland in early February, when Leopardstown play host to the Dublin Racing Festival. The two-day event has certainly captured the imagination, and is a terrific effort by organisers to make this a ‘stand-alone’ treat for Irish racegoers. Indeed, there’s plenty of Jump racing fans from the UK who, if not travelling over this time, will be watching with interest and making a note in diaries for future reference. The Irish Champion Hurdle headlines on day one, a race that both Istabraq and Hurricane Fly made their own. The following day’s showpiece is the Irish Gold Cup, won last year by Sizing John, prior to his glorious excursion to the Cotswolds. The card is packed with high-class action, and of course those vital Cheltenham Festival pointers. Nevertheless, the quality of racing is such that those attending may give little thought to the looming presence of the Prestbury Park gathering. Along with the equine talent on display, racegoers will be treated to comedy, music and the best of Irish food and drink. It sounds like a cracking event. Newbury is next on the radar, with the valuable Betfair Hurdle its centrepiece. Established in 1963, this is rarely a race won by elite hurdlers, though Make A Stand took this in 1997 en route to Cheltenham glory. My Tent Or Yours was another high-class winner, when landing the spoils in 2013. Far less valuable though arguably of greater significance, is the Denman Chase, which takes place earlier on the Newbury card. In its relative short history, the race has been won by See More Business, Kauto Star, Denman, Long Run and Coneygree. Native River landed the pot 12 months ago, prior to going close in the Gold Cup at Cheltenham. I’d expect another powerful line-up come February as trainers look to ‘fine-tune’ their talented staying chasers. Buckle-up as we accelerate to the inevitable. Outstanding racing is still to be had, as Cheltenham looms on the horizon. Cue Card, Coneygree and Our Duke hit the headlines at the weekend, for all the wrong reasons. And yesterday it was dear old Cue Card that again made the news, as the Tizzard team decided a change of jockey is required in the hope of resurrecting the chaser’s winning ways. Having hit the deck twice in his last three starts, Paddy Brennan has been asked to step-aside, and it will be young Harry Cobden that takes the reins in the Betfair Chase at Haydock. There’s no doubting it’s tough on Paddy Brennan. He’s had some fabulous times on Cue Card, most notably the thrilling King George success of 2015, when getting up in the final strides to defeat the wonderful Vautour. Brennan will still ride for the Tizzard’s, but this will still be a blow for the jock. With Tizzard’s older statesman looking to land his fourth Betfair Chase at Haydock, the yard’s younger star was among 26 entries for the King George at Christmas. Thistlecrack won Kempton’s Christmas cracker last December, and is on course to attempt a repeat performance. Earlier this week Tizzard confirmed that the Long Distance Hurdle at Newbury would act as Thistlecrack’s King George warm-up run. He took the race in 2015, and it would leave a gap of almost four weeks before that huge event at Kempton. Tizzard also spoke of last year’s Gold Cup third, Native River. The seven-year-old is set for a light campaign, with another crack at Cheltenham’s Gold Cup the prime objective. He’ll not be seen until the new year, with connections keen to have him spot-on for the big day. Might Bite, Sizing John, Douvan and Djakadam were other eye-catching entries for what may well prove to be a stellar renewal of the King George. Nicky Henderson’s Might Bite looks likely to head to Sandown for his seasonal debut on Sunday. The three-mile 188Bet Future Stars Intermediate Chase appears the ideal starting point, giving the young chaser vital practice before taking on the ‘big guns’ over Christmas. The opportunity of having another run on a right-handed track would also have been on Henderson’s mind when choosing this as a pipe-opener. Sizing John has the million-pound bonus on his agenda for this campaign. He’ll head for the Betfair Chase before a crack at the King George. The cheque will be handed over should he win both and then repeat his Gold Cup success at Cheltenham. Sounds easy enough. Battered and bruised as stars of past and present fell by the wayside, nevertheless, the Gold Cup remains the most prestigious event of the Cheltenham Festival, and there’s every chance we could still be treated to an absolute thriller. Willie Mullins continues his quest for a first victory, and surely has a great chance with twice runner-up Djakadam. And Colin Tizzard, despite the loss of budding superstar Thistlecrack, has a ready-made replacement in Native River, along with one of the most popular horses in training searching for redemption in Cue Card. The trio are vying for top spot in the betting, and if recent trends are anything to go by, they’ll be battling out the finish. Fancied runners have won nine of the last 10, with only Lord Windermere bucking the trend when winning at 20s in 2014. Five favourites have been successful in that time, including last year’s winner Don Cossack, who was chased home by a pair of 9/2 shots in Djakadam and Don Poli. Cue Card had been sent-off the 5/2 second favourite, and would surely have been in the mix, but for his third-last blunder. Don number one, took a tumble in the King George prior to Cheltenham glory, and Kempton’s Christmas Cracker has proved to be a decent pointer for the ‘big one’ in March. Many of the best staying chasers take in this valuable and prestigious event, and it’s therefore no surprise that Gold Cup winners have lined-up here. However, the two courses provide very different tests for a racehorse, and Cue Card fans should not be too despondent that he was swept aside so easily by stable companion Thistlecrack in December’s renewal. The Hennessy Gold Cup and Denman Chase have also been stop-off points for future Gold Cup winners in recent years. Native River captured both, along with the Welsh National for good measure. The win at Chepstow proved his versatility with regards to track. Tizzard himself had hinted that the horse was better suited to a flat course, but the win in Wales was arguably his most impressive performance to date. Ireland’s Lexus Chase has been slightly less influential as a Gold Cup guide, though Denman and Synchronised both won en route to Cheltenham glory. Lord Windermere had finished down the field prior to his shock win at Prestbury Park. Djakadam was somewhat disappointing in finishing third behind Outlander and Don Poli in the Leopardstown showpiece this time, but Mullins appears happy with the progress his chaser has made since that run. Of the leading three contenders, you’d have to say that Native River has been the most impressive throughout the winter. He looks be improving at a rate of knots, though it’s somewhat surprising to see that Kauto Star was the last seven-year-old to win the Gold Cup, back in 2007. Long Run was only six when winning in 2011, but in recent times eight and nine-year-olds have proved dominant. A plus maybe for eight-year-old Djakadam. What A Myth was the last horse over the age of 10 to capture Cheltenham’s showpiece, which is bad news for Cue Card fans. Away from the leading trio, the markets have Sizing John next best. He stepped from the shadows of Douvan to win the Kinloch Brae Chase, and improved again when winning the Irish Gold Cup at Leopardstown. He’s an impressive looking beast, who looks sure to jump and travel beautifully for much of the race at Cheltenham. The question is whether he will last out the trip, in what is likely to be a strongly run affair. He wasn’t stopping at Leopardstown last time, though the field hardly hot-footed it around the track. If Sizing John has stamina doubts, then the same can probably be said of Lexus winner Outlander. Visually at least, he looked to be powering away from his rivals at the finish over Christmas, though trainer Gordon Elliott has recently sounded less confident that the 3m2f trip will prove ideal. Now a nine-year-old, the horse looks to be Elliott’s best hope of landing back-to-back victories. His course form fails to fill you with confidence, though the same could have been said of Don Cossack prior to last year’s romp. Henry De Bromhead’s Champagne West comes next in the betting. He appears to have improved immensely since his move to Ireland, though I’d be stunned if he’s good enough to win this. His jumping can be patchy at best, and he’s likely to be pressured into errors from the onset. Soft ground will help his cause, though not enough. Bristol De Mai is another that will need heavy ground to have any chance. He seems to cruise through the mud whilst others flounder, but he’s another that probably comes-up just short at this level. He could run into a place, if conditions become severely testing. Of the remainder, only Minella Rocco appears to hold any hope of an upset. He has that vital Festival form, having won the four-miler last year, beating Native River into second place. That however, has been his only success over fences, and he’s spent most of this campaign on the floor. There’s no doubting he’s a talented one, and at 25/1 he’s probably worth a small each-way flutter. I’ve watched that four-miler on numerous occasions over recent months, and it has continually put doubts in my mind as to whether Native River can win the Gold Cup. He was horribly outpaced coming down the hill 12 months ago, before then storming up the famous final climb. I worry that the same may happen again, especially with several pacey types in opposition. Many say he has the look of Denman about him, but for me it’s Synchronised that he best resembles. Nevertheless, Native River has done no wrong this winter, and because of that, he has my vote. I’ll also have a few quid on Outlander, as the more I watch his Lexus victory, the more I’m impressed. Let’s hope it’s a cracker, and the best of luck to all those having a punt. Previous Festival form should never be ignored when assessing the contenders for those four famous days at Prestbury Park. Year after year, horses return to the ‘Greatest Show On Turf’, and display their true ability, often rewarding those that ‘keep the faith’. A return to Cheltenham’s unique undulations may be the spark, or possibly the chance of running on decent spring ground rather than trudging through deep winter mud. Whatever, the reason, Festival perennials need spotting, and following. Some of course are higher profile than others. Hurdling hero Hardy Eustace landed the Neptune as a novice in 2003, before returning to become a dual-winner of the Champion Hurdle in 2004 and 2005. He continued to enjoy his Cotswold excursions in 2006 and 2007, when third and fourth in the hurdling showpiece. Denman was another Cheltenham legend that flourished at the track. Runner-up in the Neptune of 2006, he returned in stunning fashion to take the RSA of 2007, before his famous Gold Cup romp of 2008. He was then runner-up on three occasions in steeplechasing’s premier race; behind Kauto Star, Imperial Commander and Long Run. That final effort came in 2011 as an 11-year-old. More recently, Vautour became a ‘Festival Banker’ for the all-conquering Willie Mullins. It’s tragic when we lose such a star, but his Cheltenham heroics will live long in the memory. He followed his Supreme Novices’ Hurdle demolition of 2014, with one of the Festival’s greatest performances, when putting in an astounding round of jumping to win the JLT Novices’ Chase of 2015. He landed the Ryanair last March with the minimum of fuss, and who knows what he would have achieved this time around. if staying fit and well. Though we weren’t to know for sure when they arrived on the scene, indeed Hardy Eustace won his first Champion Hurdle as a 33/1 shot. So, the trick is now to find the latest Festival regulars, who are likely to put their best hoof forward, achieving further success on the greatest stage, and leaving punters celebrating in the process. Some are clearly more predictable than others, and as such, hold little value from a punting prospective. Douvan looks sure to add to his Festival haul in the Champion Chase. Already a two-time Cheltenham Festival winner, the latest ‘Mullins Machine’ appears peerless, and it would come as a mighty shock if he were not to add to his Supreme and Arkle victories. Similarly, Nicky Henderson’s Altior appears to be starting down the road to Festival immortality. Attempting to mirror the achievements of Douvan, he has looked sensational over fences this winter, and it’s hard to imagine anything landing a blow when the flag drops in the Arkle on the opening day. Less flashy, yet still likely to make it two from two, is the Stayers’ favourite Unowhatimeanharry. He was something of a surprise winner of the Albert Bartlett 12 months ago, but it would come as no surprise were he to win the staying hurdle crown this time round. Winner of his last eight, he sets the standard, having won all the usual trials en route. But there’s also those that consistently hit the frame in March, and yet still give plenty of value to those brave enough to take a punt. Sizing John is one such beast, having finished behind Douvan on his last two visits to Prestbury Park in March. Third in the Supreme Novices’ in 2015 at a stonking 25/1, he then came runner-up to the Mullins hotshot in the Arkle, when again a generous 9/1. Those performances undoubtedly came at trips that were too short for Jess Harrington’s sizeable gelding. His success in the Irish Gold Cup at Leopardstown, proved that he could see-out an extended trip, and it’s likely that he will now take his chance in an open looking Gold Cup. There’s every chance that he is once again being underestimated by many, with numerous bookies offering 10s for this perennial Festival achiever. Jonjo O’Neill makes a habit of landing Festival prizes with horses that peak at exactly the right time. He has a host of contenders that look capable of out-running their current form figures, and would leave punters crying ‘how did I miss that one?’. Minella Rocco took the four-miler last year, defeating Gold Cup favourite Native River, and is currently available at 25s for the ‘Blue Riband’. With two-falls-and- a-submission to his name so far this winter, it would take a brave punter to chuck a fistful of dollars his way, yet many apparently have. He has ‘Festival-previous’, and that counts for plenty. Another Jonjo regular, who always punches above his weight, is the diminutive 10-year-old Holywell. His Cheltenham Festival record is a cracker, and yet he would be easy to overlook. A Pertemps Final victory in 2013 was followed by a win in the Ultima Handicap Chase (then the Baylis & Harding) a year later. In 2015 he took on the ‘big-boys’ and managed a stunning fourth place finish behind Coneygree, despite the ground being against him. Then last year he returned to the Ultima, with a cracking runner-up finish despite lumping top-weight around the 3m1f. His handicap mark is currently 148, having been 153 this time last year. Bookies are offering 16/1 against him taking the opening day handicap! Willie Mullins has had his share of upset during the winter, but remains the trainer to follow when the Festival arrives. He’ll have plenty of contenders for major honours, with one hoping to end a run of near misses at Cheltenham’s prestigious meeting. Bumper runner-up; second in the Supreme Novices’ and chinned by Blaklion for last year’s RSA, Shaneshill looks set to contest the Stayers’ Hurdle this time. By leading Festival Sire King's Theatre, he’s 10/1 in places to get the better of Unowhatimeanharry, and I’d be surprised if he didn’t go very close. Mullins sends a strong team across the Irish Sea, and is joined by Gordon Elliott, who looks sure to have Festival winners among his team. Somewhere in the region of 30 horses are likely to make the journey, with Death Duty and Mega Fortune particularly strong fancies. Cause Of Causes loves Cheltenham, especially with ground conditions to suit. A sound surface is ideal, and but for a mistake at the last fence in the Kim Muir of 2014, he would have a trio of Festival victories to his name. Elliott is aiming the nine-year-old at the Grand National, but will take in the Cross Country at Cheltenham as a prep. He had a ‘warm-up’ in January on Trials Day, when some distance back in fifth. Expect him to be much closer this time, as he looks to add to his impressive Festival CV. Cheltenham form and especially previous Festival form is often a key pointer when searching for those elusive winners. There’s sure to be plenty of returning heroes that again land a major Festival success for trainers, connections, and hopefully for us punters, brave enough to keep the faith. 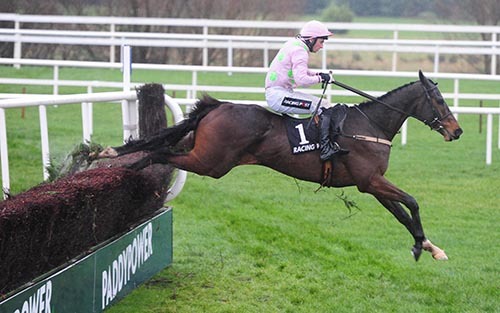 Arkle Preview: Douvan to beat all? The second race on the opening day of the Cheltenham Festival, the Arkle is a novice chase run over a helter-skelter two miles. It is usually a fiercely run event with speed, class and no little stamina required to see out victory. The roll of honour is of the highest class and the Arkle has been, perhaps unsurprisingly, the best pointer to future Champion Chase winners. In this post, we'll review the trends, form of the leading contenders, and I'll offer a suggested bet - heck, let's call it a tip - in the race. A race for class horses, with all four runners returned at 5/4 or shorter since 2003 obliging. Douvan looks set to be a shorter price than any of them - Simonsig was 8/15 in 2013 - and will probably make it five out of five for the shorties. Five-year-olds had a good record in the race between 1998 and 2006, winning four times. Their 0 from 10 record since masks the fact that a trio were placed and only two have even run since 2009. Pain Au Chocolat may represent them this time. Six-year-olds can also claim four wins since 1997, including two in the last four years. That, however, is little more than they'd have been expected to achieve on numerical grounds, and there's little in the age data save that the youngest have over-performed overall. As with most races at the Festival, a rest of between two weeks and three months is the norm, and brings in a majority of the runners. One point of possible note is the record of those absent between two and three months: this group has won five times since 1997 and added a further six places. In context, that is 28% of the winners, and 21% of the places, from 13% of the runners. Garde La Victoire and Sizing John fit this profile at exciting prices. All 18 winners since 1997 had won over at least a furlong further than this two mile trip. The ability to stay on such a demanding track is pivotal. Those not to meet this criterion are 0 from 51 since '97, and have just 7 places to their name. That is, from almost a quarter of all Arkle runners, no winners emerged and just 13% of the places. On the face of it, this race is all about one horse: Douvan. His trainer, Willie Mullins, has suggested he's the best he's ever trained, and that from a man who has won 159 Grade 1's in Britain and Ireland since 2003! If the animal is anywhere near as good as his hype, then he's very good. Happily, we don't need to rely on the sound bite because the form book records its own compelling evidence of Douvan's superstar status. Beaten just once - on debut - in a nine race career to date, he already has four Grade 1 successes on his palmares. That quartet comprises the Supreme Novices' Hurdle at last year's Festival, the equivalent at Punchestown six weeks later, and back to back novice chases in Ireland on his most recent starts. Douvan was the best of these over hurdles and he is the best of these over fences. His front-running style could be seen as a potential issue but, bluntly, I very much doubt anything will be able to live with him on the speed for long; and any horse that does try to match early strides is likely to seriously compromise its own chance in so doing. Douvan is 'bar a fall' material. Put another way, he wins or doesn't finish the race. I think, and hope, he wins. But odds of 4/11 NRNB (4/9 all in, run or not) won't excite many. So what to do? The uninformed and/or unadventurous will say, "just watch the race". And, in fairness, it ought to be some spectacle. But there is more than one way to skin a cat, and there is more than one way to win a bet. If you like exactas, what might follow Douvan home? If you'd rather take a flier on the early markets - exactas being 'day of race' bets - then how about a little 'without' action? I'll write about 'without' betting another day, but suffice it to say it is a tremendous source of value in markets that otherwise looked drained of such punting nourishment. You do need a view on a horse at the top of the betting. Actually, you need two. By definition if one is looking at this market one feels the jolly is solid but unexciting punting-wise. That perception of solidity will often also betray a feeling of weakness about the chance of another near the top of the list. (Alternatively, you may simply believe the book is spot on and that there's no edge at all. In my experience, this does happen, but it is rare). So, Douvan wins bar a fall. But what finishes second (or third or fourth - you can bet each way in the without markets too)? The clear Arkle second favourite is Vaniteux, Nicky Henderson's seven-year-old. Wins at Kempton and Doncaster either side of a second to Ar Mad read well enough... but not strikingly. In Grade 1 company over hurdles, Vaniteux was third in Vautour's Supreme, last in Faugheen's Champion Hurdle, and second last in Jezki's Aintree Hurdle. In other words, he wasn't good enough to be a top class hurdler, with a rating in the mid-150's. Importantly, he looked exposed over hurdles, perhaps even a touch regressive; and the switch to fencing has come later than for many who rise to the top of the chasing tree. The Kempton novice chase he won fell into his lap somewhat with two credible rivals falling, and he was then beaten when returning to the same track three weeks later. The gap between himself and Arzal truncated to just three lengths at Donny in a Grade 2, and that form shouldn't be good enough to get second in an Arkle. It shouldn't be good enough to legitimize quotes of 5/1, and 7/4 in the 'without Douvan' market either. If I'm wrong on that, fair enough, but he looks a very beatable favourite in that latter book and, given it is 4/1 bar, there may be some fun to be had. That 4/1 without price, and 14/1 all in (12/1 NRNB), is offered against the prospects of Sizing John. His form is good, pretty equal to that of Vaniteux on ratings, and yet he is around three times the price. An overall form string of 6412132112 reads well enough; but if we take out that lad Douvan, it reads 6411121111. Put another way, only one horse besides Douvan has beaten Sizing John in his last eight starts. That was Shaneshill in last year's Supreme - the likes of L'Ami Serge behind - and Shaneshill looks to be headed for the JLT. Sizing John hated the ground last time, according to his trainer, and will be better suited by quicker turf. His approach looks likely to be to sit close to Douvan and try to make a move mid-race to take that one on. Of course, if Douvan has already gone clear, he'll be bidding to pick up pieces and, as you'll have guessed, I like his place chance. L'Ami Serge retains an entry here, and in the JLT, with the Arkle looking more probable. As short as 6/1 a fortnight ago, his odds doubled after a lacklustre defeat by the sadly subsequently ill-fated Violet Dancer in the Kingmaker Chase at Warwick. He was readily outpointed there, but earlier facile trumpings of Doctor Harper (probably not off that day) and Run Ructions Run (rated 135) hinted at a bold showing in the Cheltenham showpiece. A Grade 1 winner over hurdles, if you can forgive the apathetic Warwick effort, he's a fair price. But he's not a generous price and, after such a poor turn, this eye is cast elsewhere in search of a wager. Garde La Victoire is a very likable horse, and talented too. There is a strong rumour that the JLT is his Fez destination, so on that basis he's passed over here. One that could be quite interesting is Gordon Elliott's The Game Changer. He holds other entries, too, but has the benefit of experience over all of his rivals. Shrewdly campaigned, he was invited to lose his maiden tag over fences in May of last year and has since racked up six chase wins in eight starts (running second the other twice). He may not have had to improve much from the start of that sequence to the end, and the fact that he's not raced in a bigger field than seven, and in an average field size of 4.375, attests to the cheap nature of some of those plundered pots. Each run in that chasing octet was on good ground or faster. This lad loves it rattling but if there's one day when it probably won't be that - due to either the weather or the watering policy - it is Arkle Tuesday. For that reason, as they say on Dragon's Den, I'm out. The joy of a very short favourite is that we are now in the realms of the 33/1 shots. In fact there is but one such horse, Outlander, and he is said to be JLT-bound. 40/1 bar brings in Tell Us More, who would have won a couple of weeks ago but for unshipping at the second last. Prior to that he'd won an ordinary beginners' chase and had run third to Zabana at Leopardstown over Christmas. He was a promising novice hurdler last season - sixth in the Supreme, when a touch outpaced - but the ground might be too fast for him again at Cheltenham. One who could outrun his price of 50/1 - or 33/1 NRNB - is Arzal. He's run against Vaniteux twice this season, and been beaten five lengths and then three lengths. Vaniteux is 5/1, Arzal is 50/1. Anything between soft and good should be fine for Harry Whittington's progressive fellow, and there was plenty to like about the way he conceded four pounds and stuck on when Hendo's Arkle second favourite went by him at Doncaster in a Grade 2 last time (Fox Norton and Shaneshill well beaten). Available at 33/1 (20/1 NRNB) in the 'without' market, which would reward each way support down to fourth place assuming Douvan is in the top three, that's not the worst option in the race by any manner of means. Douvan looks very likely to win the 2016 running of the Arkle Challenge Trophy, and at prohibitive odds to boot. But, even if you don't have a big wad of elevens to risk in search of 'easy' fours, there are bets to be struck. Sizing John is one, and he might be worth playing at 4/1 with Boylesports (if you can get on) or at 7/2 non-runner no bet with bet365. Elsewhere, Arzal is the sort I'm happy to have a couple of optimistic pounds on. If Arzal runs here, he may get involved in a battle for the lead and that might be a problem. More sensibly, though, his jockey might track the pace and attempt to pick up the pieces, a ploy which would surely thrill his syndicate owners. Rated just three pounds behind Vaniteux, he's worth a speculative each way at 33/1 in the 'without' market.